Plan the perfect party for a crazy collection of hosts. 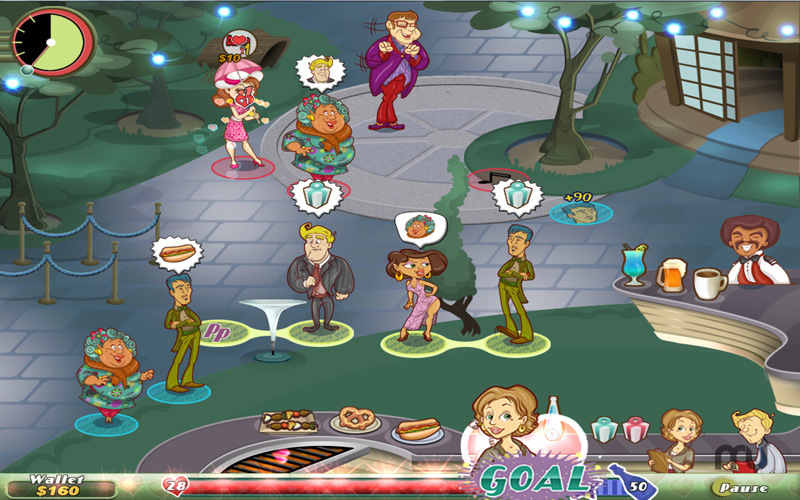 Developer website: Games Cafe Inc.
Is there a better alternative to Party Planner? Is Party Planner really the best app in Simulation category? Will Party Planner work good on macOS 10.13.4? Party Planner…When her friends suggest that Bashville is the perfect place for Pepper to start her party planning business, she packs her bags and heads for the big city. 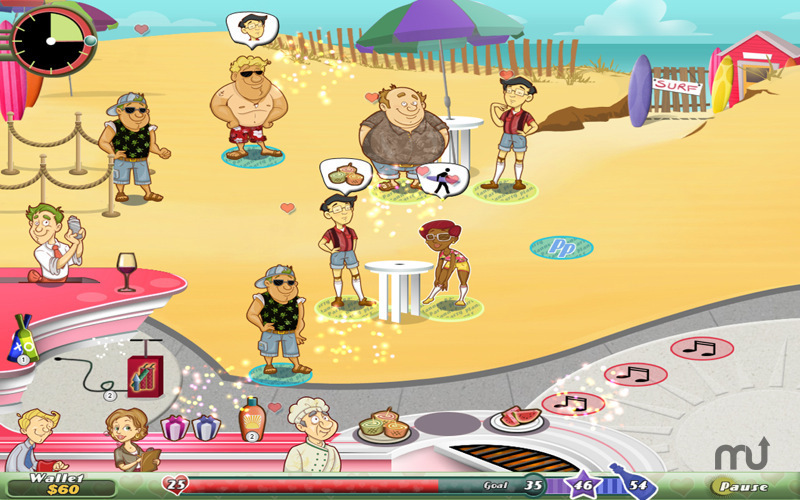 She arrives to the swanky town of Bashville to jump-start her career as the town's party planner extraordinaire, a unique new time management game from the creators of Sally's Salon! Party Planner needs a review. Be the first to review this app and get the discussion started! Party Planner needs a rating. Be the first to rate this app and get the discussion started! Pepper's client list includes many of the city's creme de la creme of the society pages, all looking to host the greatest bash the town has ever seen. 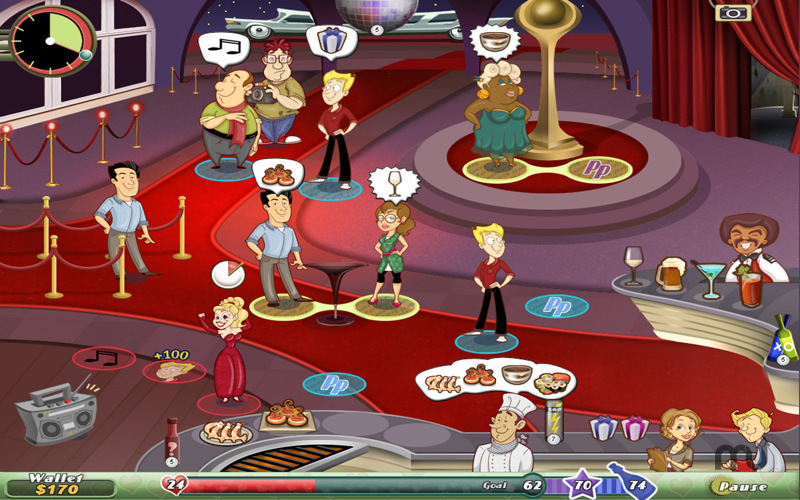 Take care of over 60 character personalities with help from your professional staff to help mix, mingle, and manage. Help pick the perfect decorations, drinks, snacks, entertainment and more. Keep the mood festive, the guests happy and the conversations flowing with special power-ups to make sure everything runs smoothly. And toss those party crashers out on their ear! 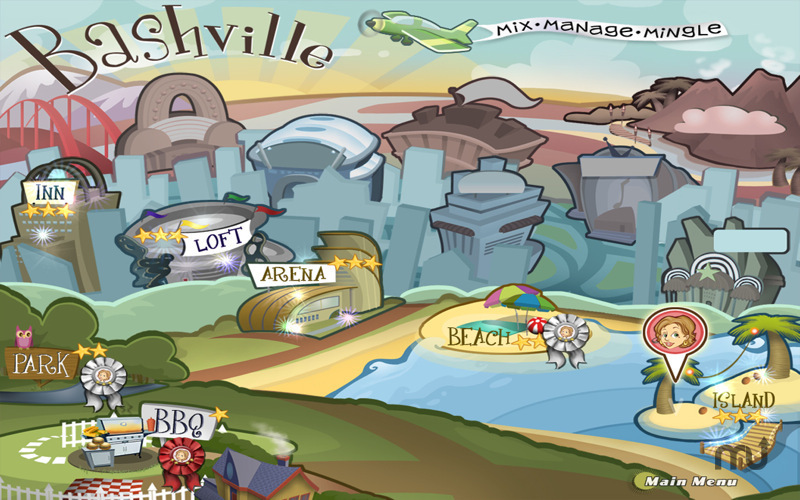 Over a dozen party locations to play in the town of Bashville. 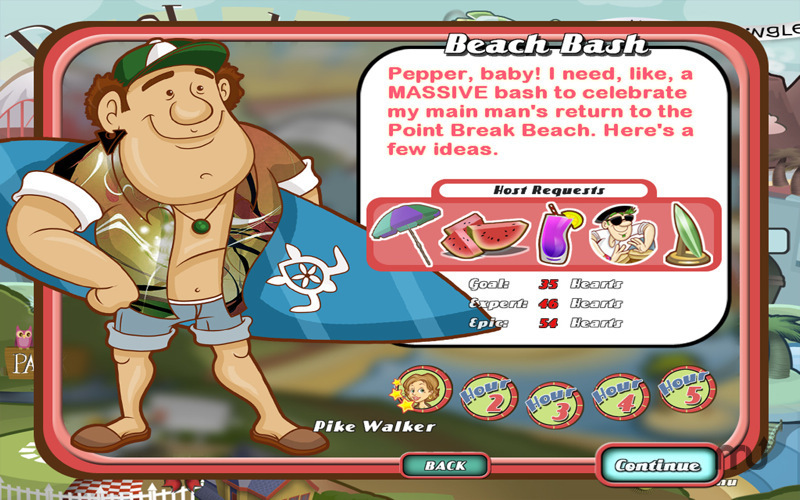 Plan a Backyard mixer BBQ, Sun and surf at the beach, a glittering art show, an upscale gala event, and many more creating over 75 levels of fast paced, frenzied fun! Get the party started today! And watch out for those pesky party crashers!